A movement is building in Congress and the defense industry that challenges the common assumption that the government’s array of unresolved budget decisions can wait until after the November elections, a senator said Tuesday before a panel organized by the contractors group TechAmerica. Automatic cuts to the Defense Department budget scheduled to take effect Jan. 2, 2013, under the Budget Control Act’s sequestration threat would “render the administration’s defense strategy a mockery” while imposing “devastating impact on the defense industrial base,” said Sen. Kelly Ayotte, R-N.H., ranking member on the Armed Services Readiness and Management Support Subcommittee. To head off across-the-board cuts in which “everything is done insufficiently,” Ayotte called for a small bipartisan working group from both chambers to pursue a two-year budget deal to cut $109 billion per year from the federal budget “by reducing borrowing and living within our means for a month.” That could give the country “some breathing room” before lawmakers take on the long-term need for a consensus on spending cuts, tax reform and entitlement reform, Ayotte said. She touted the bill she introduced with other Republican senators last winter that would incorporate many of the spending cuts in the Simpson-Bowles deficit reduction plan. Her 2012 Down Payment to Protect National Security Act would extend the federal civilian pay freeze through 2014 and replace every three federal employees who leave government with two hires until the workforce shrinks by 5 percent. 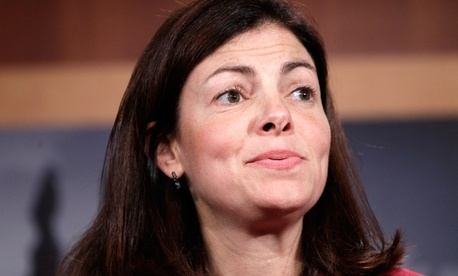 Citing alarms being raised by the National Association of Manufacturers and large contractors about job losses in all 50 states, Ayotte also warned that the uncertainty in the Pentagon’s long-range planning soon could require contractors to issue thousands of layoff notices with 60 days’ lead time as required under the 1988 Worker Adjustment and Retraining Notification Act.